Thank you for visiting Jay Yepuri, MD’s website. All health information posted on the site is based on the latest research and national treatment standards, and have been written or reviewed by Jay Yepuri, MD’s or health professionals unless otherwise specified. 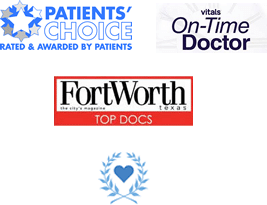 The information provided on https://dfwgidoctor.com/ is designed to support, not replace, the relationship that exists between patient/site visitor and his/her physician. MEDICAL DISCLAIMER. IF THIS IS A MEDICAL EMERGENCY, PLEASE IMMEDIATELY CALL EMERGENCY PERSONNEL (911) TO GET PROMPT MEDICAL ATTENTION. DO NOT RELY ON ELECTRONIC COMMUNICATIONS FOR ASSISTANCE IN REGARD TO YOUR IMMEDIATE, URGENT MEDICAL NEEDS. OUR E-MAIL SYSTEM IS NOT DESIGNED TO FACILITATE MEDICAL EMERGENCIES. DIGESTIVE HEALTH ASSOCIATES OF TEXAS CANNOT GUARANTEE RESPONSE TIMES IF YOU CHOOSE TO USE OUR E-MAIL IN THE EVENT OF A MEDICAL EMERGENCY. DISCLAIMER OF WARRANTY. MATERIALS, SERVICES AND OTHER INFORMATION ARE PROVIDED “AS IS” BY JAY YEPURI, MD FOR EDUCATIONAL PURPOSES ONLY. JAY YEPURI, MD MAKES NO EXPRESS OR IMPLIED WARRANTIES, INCLUDING, BUT NOT LIMITED TO, ANY WARRANTIES OF MERCHANTABILITY, FITNESS FOR A PARTICULAR PURPOSE OR USE, TITLE OR NON INFRINGEMENT. ALTHOUGH OUR HEALTH INFORMATION CONTENT IS REVIEWED BY HEALTHCARE PROFESSIONALS, JAY YEPURI, MD DOES NOT GUARANTEE THE ACCURACY, ADEQUACY, OR COMPLETENESS OF ANY INFORMATION AND IS NOT RESPONSIBLE FOR ANY ERRORS OR OMISSIONS OR FOR THE RESULTS OBTAINED FROM THE USE OF SUCH INFORMATION. YOU ACKNOWLEDGE AND AGREE THAT JAY YEPURI, MDDOES NOT OPERATE OR CONTROL THE INTERNET AND THEREFORE JAY YEPURI, MD DOES NOT GUARANTEE THAT THE USE OF THIS WEBSITE WILL BE ERROR FREE OR FREE OF TECHNOLOGY DOWNTIMES OR UNAVAILABILITY. YOU ACKNOWLEDGE AND AGREE THATJAY YEPURI, MD CANNOT AND DOES NOT GUARANTEE AGAINST VIRUSES, WORMS, OR OTHER UNAUTHORIZED USERS OR HACKERS ATTEMPTING TO OBTAIN ACCESS TO THIS WEBSITE OR INFORMATION TRANSMITTED TO OR FROM THIS SITE. Jay Yepuri, MD also reserves the right to temporarily or permanently discontinue this site, any page, or any functionality on this website at any time and without notice. LIMITATION OF LIABILITY. IN NO EVENT SHALL DIGESTIVE HEALTH ASSOCIATES OF TEXAS, P. A. BE LIABLE FOR ANY DIRECT, INDIRECT, SPECIAL, CONSEQUENTIAL OR MONETARY DAMAGES, INCLUDING FEES, AND PENALTIES IN CONNECTION WITH YOUR USE OF MATERIALS POSTED ON THIS SITE OR CONNECTIVITY TO OR FROM THIS SITE TO ANY OTHER SITE. GOVERNING LAW. You agree that any claim or dispute relating to the Jay Yepuri, MDwebsite or your use or reliance on this website shall be construed in accordance with the laws of the State of Texas without regard to its conflict of laws provisions. The parties agree to be bound and shall be subject to the exclusive jurisdiction of the local, state or federal courts located in Dallas County, Texas. CHILDREN. Accept as otherwise indicated, Jay Yepuri, MD does not knowingly or intentionally collect personal information from children under age 18. The content of our website is directed at adults, and therefore this site is intended for use only by adults over the age of 18. If you are under the age of 18, please consult a parent or guardian for help in using this website.